All office visits start off with paperwork. This may include questionnaires to help assess how severe your ailment is. On the questionnaires, you are asked to “rate” things like lower urinary tract symptoms, incontinence and/or sexual health. Your urologist will request that you provide a urine specimen, and it’s advisable to drink some water before your appointment. So when you arrive at the office for your visit, let the office staff know that you are ready to provide a specimen. During your visit you’ll be asked numerous questions regarding your medical history. Questions will be aimed at identifying what your underlying urologic problem actually is, and a complete review of all body systems will be obtained. In addition, be sure to provide a list of any medications that you are currently taking, along with their dosages. You may have a physical to help your urologist gain a better understanding of the problems you you are currently experiencing. The exam will concentrate on the genitourinary system – including the kidneys, urinary bladder, adrenal glands, urethra, and reproductive organs – but can also include other systems as well. Depending on your symptoms, additional tests may also be performed to help your urologist make their evaluation. 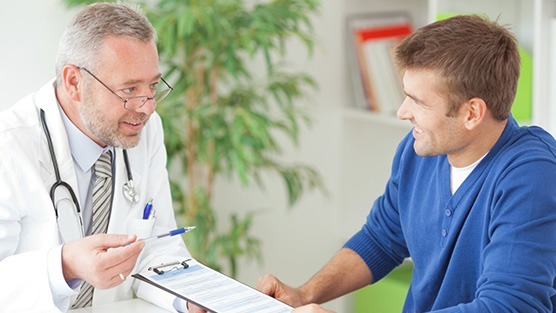 Following the exam, your urologist will discuss a treatment plan with you. This might mean prescribing medications, additional testing, or recommending a surgical procedure. You may want to consider preparing a list of questions to bring with you to discuss. Hopefully the information that has been provided will help to put your mind at ease about your first urologist visit. Don’t let the fear of the unfamiliar deter you from taking charge of your health. Now that you know what to expect you’ll be ready to face your first urologist appointment without any doubts or concerns.